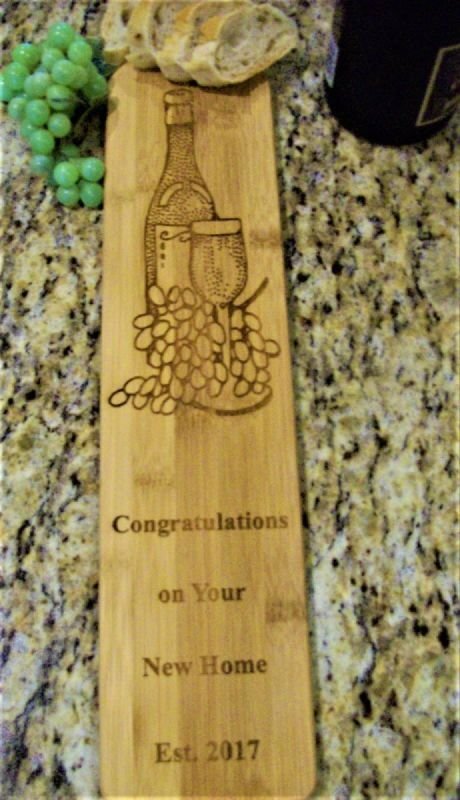 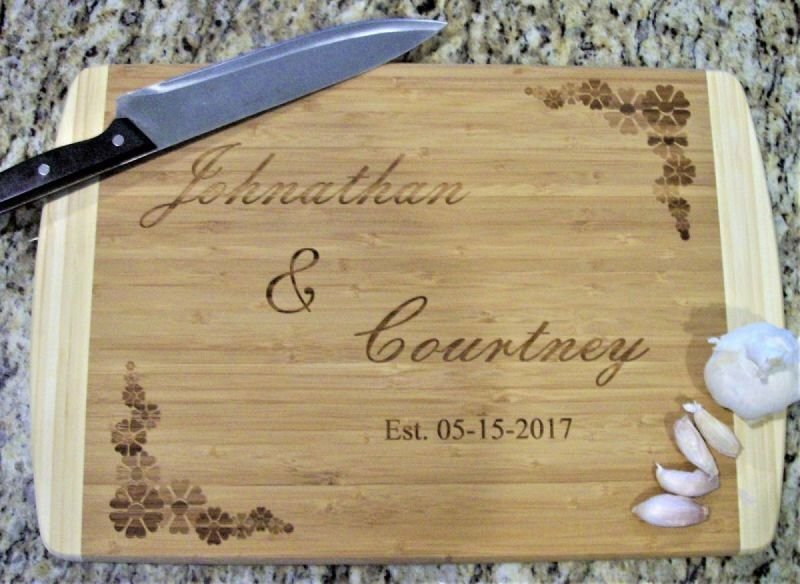 This personalized cutting board made of quality bamboo that measures 18" X 22" .makes a great house warming gift. 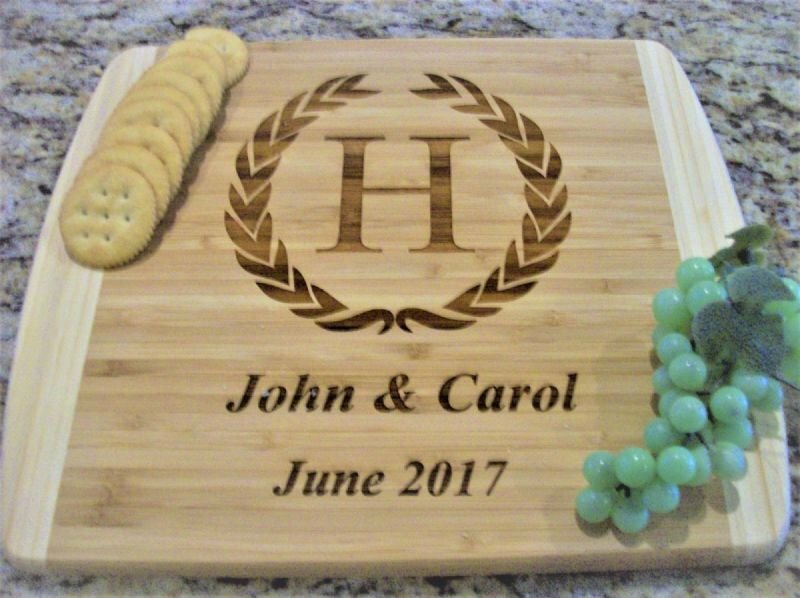 Also, great for bridal showers or weddings, birthdays, Mother's Day, or Christmas. 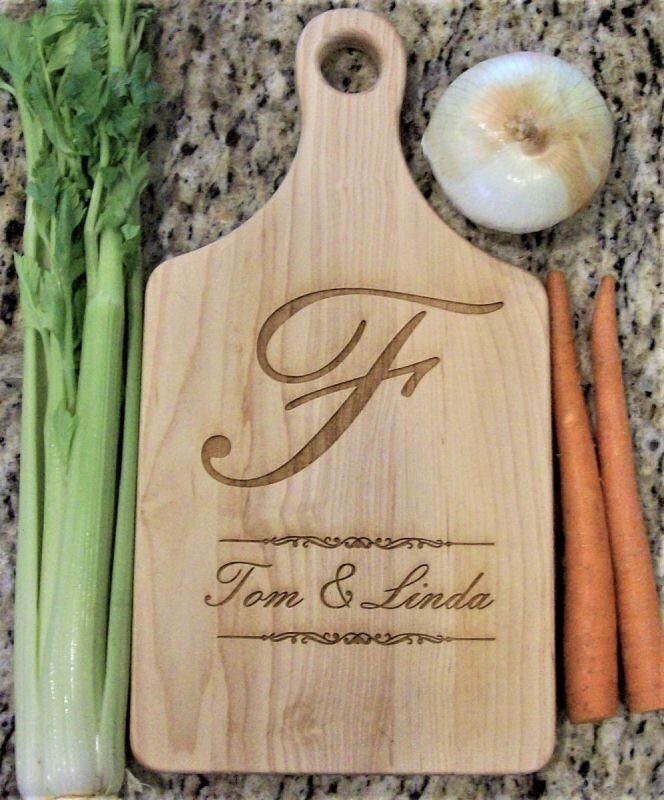 A unique gift that will last a lifetime. 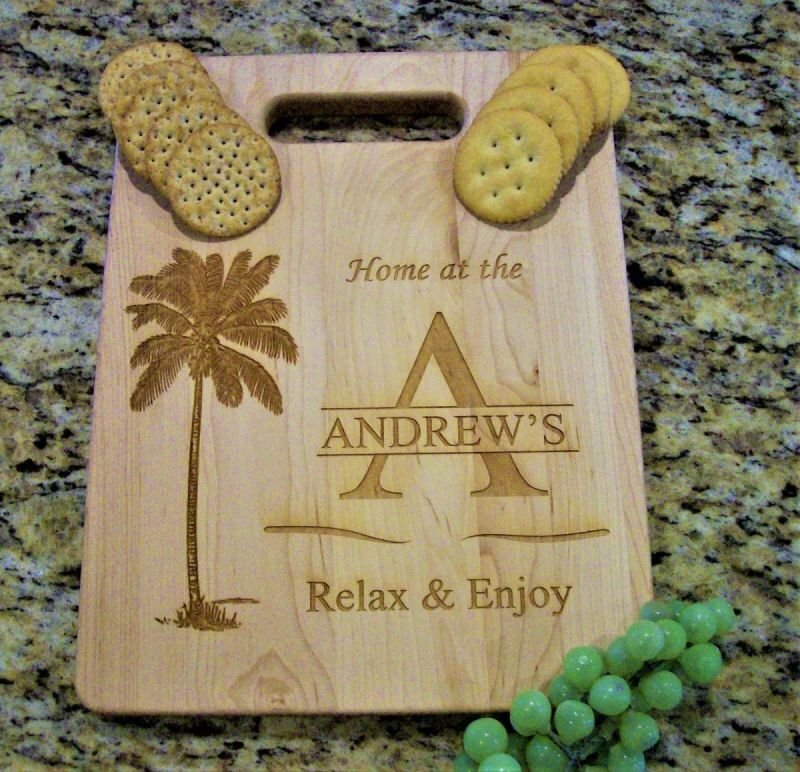 Made to order and custom laser engraved according to your instructions..